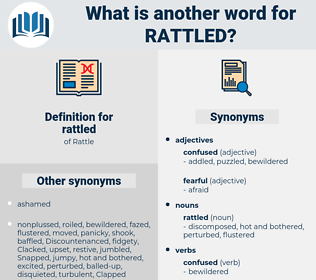 What is another word for rattled? troubled, Hammered, ravaged, shaken, beaten, agitated, infected, buffeted, injured, Batted, struck, wracked, stunned, shocked, HIT, Rocked, wounded, upset. She might have a bit of a temper - she certainly had been rather rattled these last few days, but you couldn't blame her for that. The words positively rattled in his throat. 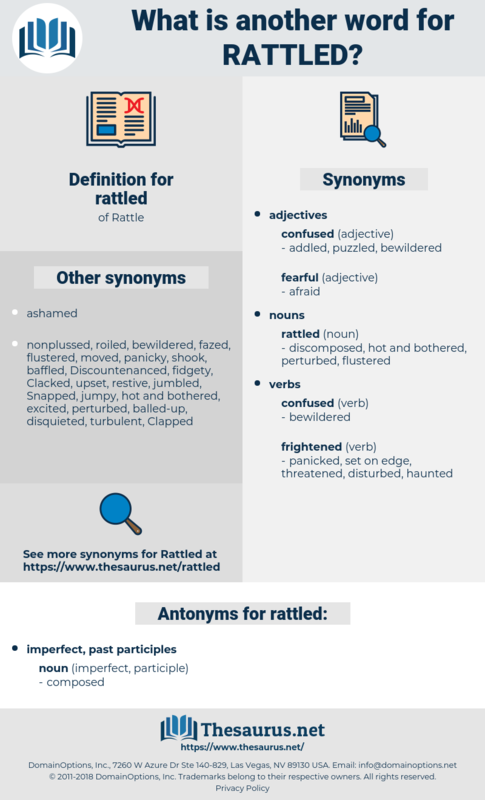 retaliate, rhodolite, raddled, riddled, red lead, rattle weed, rtlt, rootlet.